I first started working with bats as part of an undergraduate-led expedition to Colombia in 1991. I was actually meant to be studying small mammals, but as our mammal traps never made it out of customs my friend, Kate Barlow, and I borrowed the bird team’s mist nets and started working on bats. No more small mammals for me, its been bats all the way since then. After a couple more summers leading expeditions in Colombia with Kate, I switched to Southeast Asia, where I have been working ever since. More recently, my grad students and I have begun projects in Africa, primarily Nigeria, Kenya and South Africa. I completed my undergraduate degree (BSc Zoology) at Royal Holloway University of London, and my PhD (Ecology, Behavior & Evolution) at Boston University (USA). 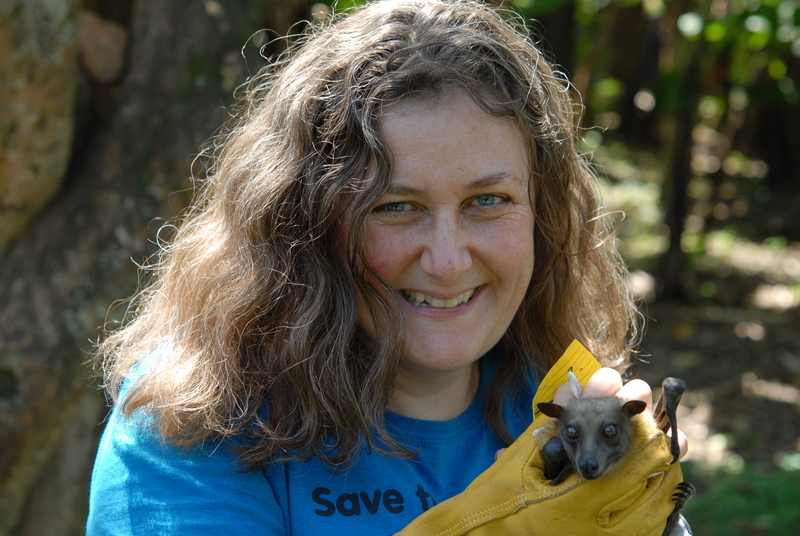 My research focuses on bat diversity and conservation in Southeast Asia. You can follow my research on Researchgate, and learn more about our SE Asian bat conservation efforts with the formation of the Southeast Asian Bat Conservation Research Unit at our website or follow us on facebook. How are you? my teacher Tigga is very kindly person. My name is Nwe Nwe San. I’m your pupil from 2002-2007. My research paper title is Reproductive phenology and diet analysis of Rhinolophid bats from National Kandawgyi Gardens, PyinOoLwin Township and Chaemyitpin, naunghkio Township.